Each year, over 1 million American teens end up in the juvenile justice system. Unfortunately, many of their parents weren't sure how to intervene or where to get help when they saw signs their teen was troubled. Early intervention is the key to helping a troubled teen. Getting professional help could help a teen get back on the right track so she can reach her greatest potential. 1. What Are the Signs of a Troubled Teenager? The term troubled teen is used to define a wide array of behavioral or emotional problems among adolescents. Some troubled teens have mental health issues, like depressive disorders or ADHD, that interfere with their daily functioning. Others have substance abuse issues, learning difficulties, or social problems. 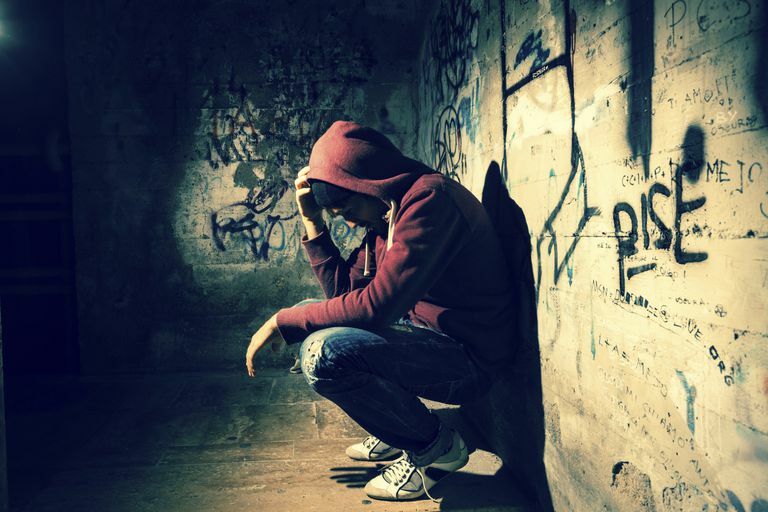 Warning signs of a troubled teen include at-risk behavior, like truancy, drug, and alcohol experimentation, or stealing. Problems often start in one area of a teen's life and over time, those problems spill over into other areas. For example, a teen may begin hanging out with the wrong crowd, which may cause turmoil with his parents. His grades may decline and eventually, his education will suffer. 2. How Can I Help My Troubled Teen? One of the best things you can do to help a troubled teen is to intervene early. It’s much easier to address problems when they’re in their earliest stages. But, it’s better to intervene late than never, so if you’ve allowed problems to go on for a long time, take action as soon as possible. When your teen's behavior is mild, you may be able to curb problems by making a few changes at home. Monitor your teen better, establish stricter rules, and enforce consequences. Consistent discipline may be enough to help your teen make better choices. If you’re dealing with more serious problems, seek professional help. Never try to address addiction or violent behavior on your own. Mental health or medical professionals can provide you with the appropriate resources. Avoid using threats to scare your teen into changing. Saying you're going to call the police on him won't inspire him to behave better. Instead, use clear consequences for misbehavior and show him that you mean what you say. A good place to start is by discussing your concerns with your child’s pediatrician. A pediatrician can help determine whether the behaviors you’re seeing constitute normal teenage behavior or a more serious problem. A pediatrician can also refer you to the most appropriate resources in your area, such as a mental health professional or a substance abuse treatment facility. Your teen's doctor will also be able to rule out physical health problems that may be contributing to some of the issues you're seeing. 4. What If My Teen Refuses Help? It’s common for most teens to insist they don’t want – or need – help. But just because your teen declines treatment doesn’t mean you can’t continue to pursue help. If your teen refuses to go to counseling, meet with a mental health professional on your own to discuss your options. You might find your teen is motivated to go to counseling to share his side of the story if he thinks you're talking about him. A trained mental health professional can also advise you about your options. You may be able to work with other adults, such as your teen's teachers, coaches, probation officers, and other caregivers to create a safer, more structured environment. 5. How Do I Deal With the Stress of Raising a Troubled Teen? Managing your stress is one of the most important things you can do while raising any teenager, let alone a troubled one. It’s important to practice good self-care so you don’t become so overwhelmed that you can’t address your teen’s issues. Consider seeking therapy for yourself or join a support group. Don’t hesitate to seek help from friends or family as well. Take time out to engage in healthy activities for yourself to effectively manage your stress level. Mathys CCA. Effective components of interventions in juvenile justice facilities: How to take care of delinquent youths? Children and Youth Services Review. 2017;73:319-327.